Hello! As previously mentioned, while I am away in the US, I do not have any guest posters. Instead I am using the time to clear out my drafts. A lot of these are old swatches and manis, so please excuse any differences in my swatch pose and/or photo quality. 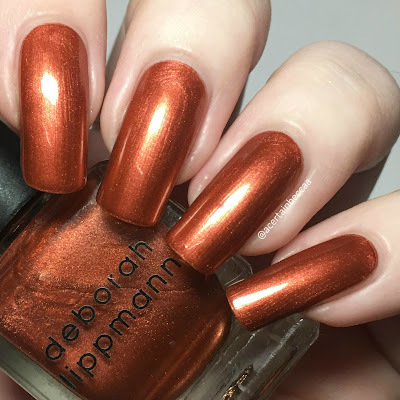 Today I have a look at my one and only Deborah Lippmann polish, continuing the Swatch My Untrieds series I started (months ago!) here. Read on for my swatch and more info! 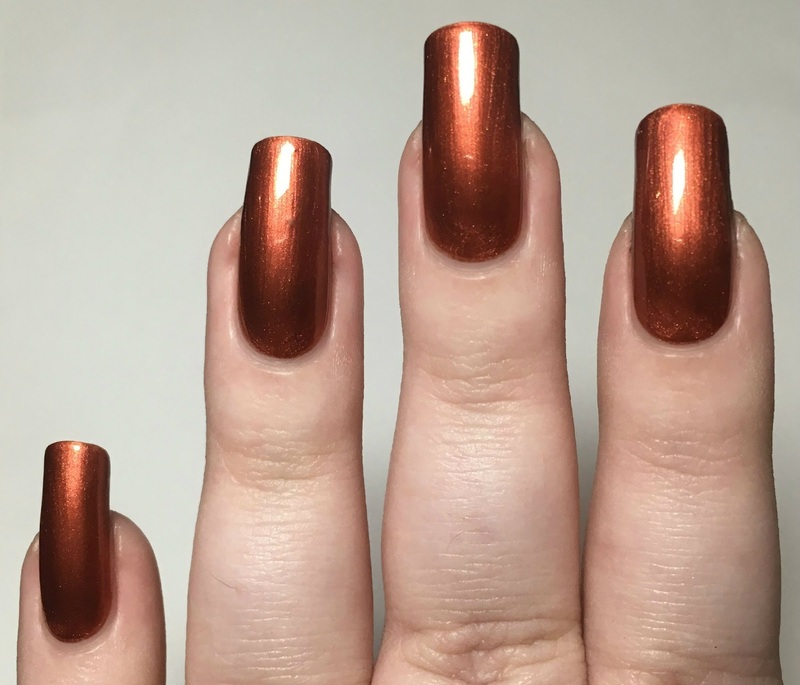 'Brick House' is a metallic rusty red-toned orange. The formula is lovely and smooth, and easy to apply. The first coat was a bit sheer and patchy, but a second covers much better. I did add a third to cover some minor patches. If you aren't picky or apply a bit more carefully, you could easily leave it at two. Being a metallic this does apply with brushstrokes, some of which remain when dry. Below is three coats and topcoat. What do you think? I love the colour, it's like a fiery rust - that's a good thing, I promise! 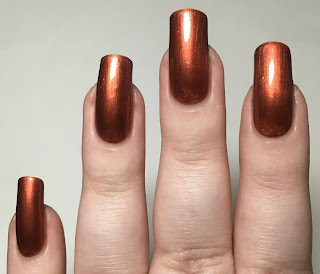 I also really liked the formula, even if it did need three coats. That being said, I don't think I could justify the full retail price (I picked this up from a destash). I think I'll stick to discounted stockists and destashes if I buy more Deborah Lippmanns!